10 Reasons Solo Moms Rock! Let’s celebrate our modern-day superheroes! Single moms are the rock. One of the first words that people use to describe you is strong, and rightfully so! Single moms are the rock their children look to when they need to know that everything is going to be OK, no matter what. We are resilient, and we are ready for whatever life throws our way. We are I-N-D-E-P-E-N-D-E-N-T. We’ve got our own house. We’ve got our own car. And now we’ve got that super-catchy song stuck in our head—but it’s so true! As the providers for our family, we’ve got to work, take care of the house and kids, and still find time for ourselves. And it doesn’t stop there—being a Solo Mom is an exhausting 24-7 job, and we have to be physically, mentally, and emotionally strong to get the job done. We are jacks-of-all-trades. From stuffed-animal surgeries to oil changes and small engine repairs, and with YouTube and a tool set, there is nothing a single mom can’t do! We’ve got shoes for every occasion—even “lawn-mowing shoes.” If being jacks-of-all-trades weren’t enough, most of us even find the time to do our own landscaping. Keeping it all straight when it comes to lawn care isn’t always easy—we’re on our own when it comes to remembering to keep the mixed gas out of the lawn mower. We don’t just own a GPS, we are one. As Solo Moms, we’ll find ourselves driving everywhere: to school, sports events, doctor appointments, vacations . . . the list goes on. At some point, you’ll be able to drop us at any point within an hour from home, and we’ll be able to navigate to our house without blinking an eye. It’s our way or the highway—and we mean it. As a single mom, I can’t tell you how many times people told me what I was going to do until they realized that wasn’t what I was going to do. My own kids, potential boyfriends, and even my own family—sorry y’all! As Solo Moms, we’ve established our own system that works for us—we’ve even customized it to meet our unique needs as a family. We carry everything but the kitchen sink. We are more prepared than Boy Scouts! And for good reason—you never know when you’re going to need a wipe or some hand sanitizer. Sure, our purses often resemble luggage bags, and we may be getting a workout from that 15-pound bag we carry everywhere, but it’s better to be overprepared than underprepared, right? At multitasking, single moms are level experts. We all feel like we need about eight extra arms sometimes for everything that we are able to do at once. Single moms could take multitasking to the Olympics and win. It’s no big deal for us to tune out an episode of Doc McStuffins while we work, toggle back and forth between cleaning the house and checking Facebook, or even cook dinner while we help our kids with their homework. We are financial ninjas. We not only manage our own checkbooks but also make all the financial decisions for our home and have to make ends meet with whatever we have. How many moms do you know who do babysitting, baking, housekeeping, or even run an online business on the side? And most of them are also trying to keep their kids active in all the activities their kids want to do and pay the bills on time. And don’t even get me started on couponing and apps such as Ibotta—if there’s a way to recoup a buck on the things you need, you’re probably on it already. Single moms are practically superheroes. 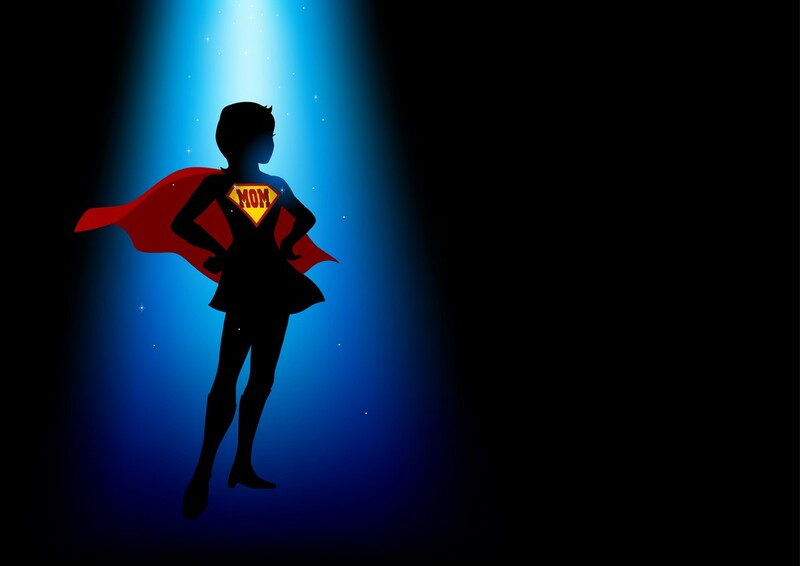 At the end of the day, there is one thing for certain about being a Solo Mom: we’re superheroes because we have to be. We’re the ones who have to do everything and hold it all together so our children can grow up in a safe, stable environment. As exhausting as being a Solo Mom is, there will come a day when we look back on our lives and realize just how amazing we are and how much our children appreciate the choices and sacrifices we made for them. When we look back, these will be the strongest, most defining moments of our lives, and rightfully so. Just know, fellow solo superhero mom, you are appreciated.